Reylon A. Yount '16, is an accomplished musician on a classical Chinese instrument. Musician Reylon A. Yount ’16 has played a Chinese instrument called the yangqin since the third grade. 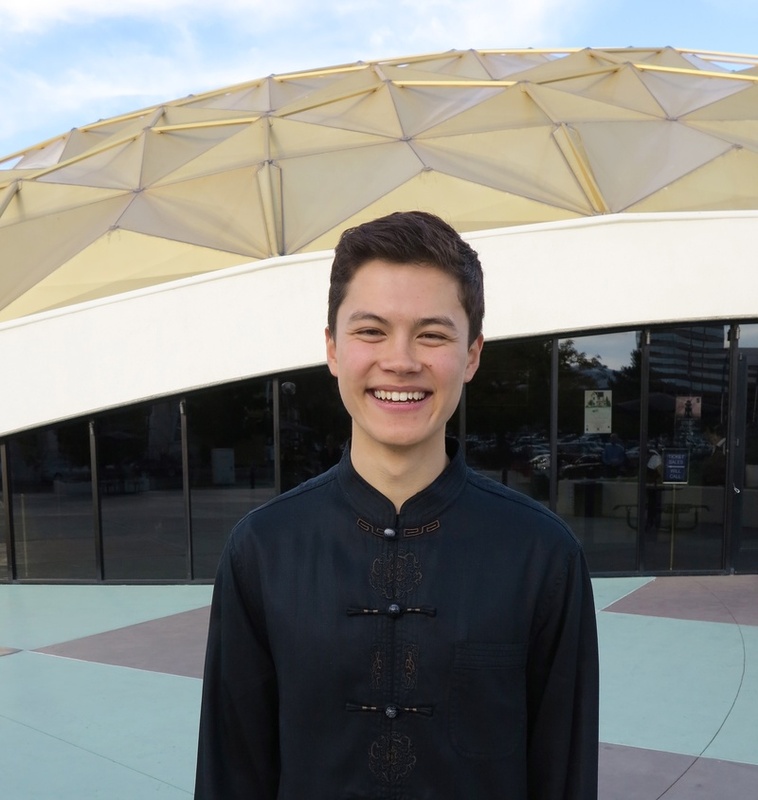 Yount has performed at many events on campus and recently played with the Reno Philharmonic Orchestra in his first-ever orchestral performance. This performance was part of his participation in the Davidson Fellowship, a competitive award that gives scholarships to people ages 18 and younger who have completed a significant piece of work in various fields. Yount was the first recipient of an award in the music category who plays a non-Western classical instrument. Yount plans to continue playing around campus and at other venues in Boston before graduating in the fall of 2016. The Harvard Crimson: How did you get involved with classical Chinese music? Reylon A. Yount: In third grade, our music teacher brought in a music ensemble called the Melody of China. I stuck with the yangqin and took private lessons outside of school. I had a concert during the winter of my freshman year [of high school] that had a fantastic reaction. That was the moment that I realized I could continue playing the yangqin even though my audience was no longer Chinese. Around that same time, the Central Conservatory of Music in Beijing created an operation in the Bay Area to hold grade exams and competitions for Chinese music. I now had these great outlets for measuring my own projects and going for these competitions and exams. It was a beautiful coming together of the right time, right place, right resources, and right teachers. THC: What is the main difference you find between Chinese music and western music? RAY: The main purpose of Chinese music is just to capture the beauty that the composer sees in his or her surroundings. For example, the piece that I played with the [Reno] Philharmonic Orchestra is called “Spirit of the Yellow Earth.” The composer, whom I had the chance to study with for two summers, talked to me about how he imagined these beautiful wilderness vistas of this barren landscape of the deserts of western China, and the catharsis he feels when looking at such a free and empty landscape. Chinese music doesn’t have any other agenda than to convey beauty. In Western music you have a lot of composers composing very intellectually. In Chinese music, it’s often just what the composer thinks sounds really beautiful. THC: What is the most challenging thing and the most rewarding thing about being a musician? RAY: The most challenging thing about being a musician is being persistent. Inevitably as a musician you’ll meet challenges. For me it was often the feeling of being isolated because I don’t play an instrument that fits into an orchestra. The most rewarding thing is getting to connect with audiences at a much deeper level than words can reach. It’s amazing to introduce a completely new sound and history and culture to a Western audience. The reactions I’ve been getting so far have exceeded my expectations and encouraged me to keep going. At my recent performance in Reno, there was one bass player in the orchestra who said she started crying in the middle of the piece. My goal is to use music as a catalyst for both cultural and artistic exchange, and those moments when I am able to make the bridge for people to connect with something that is outside of their own culture and world is more than I could ask for. THC: How has your time at Harvard affected your music? RAY: I really do believe that this recent performance is a continuation of the opportunities that Harvard has given me. I went to Harvard with the mindset that I would try new things in college and keep up the Chinese music on the side. But because of the opportunities at Harvard and the amazing reactions, I realized I needed to make Chinese music my number one thing. THC: Do you plan on playing the yangquin after college? RAY: Maybe. Especially after this performance [with the Reno Philharmonic], I feel really inspired. I am definitely considering the possibility of doing performances at this scale if the opportunities present themselves. I plan to finish my undergrad and master’s before pursuing a music career. I definitely still want music as my main extracurricular. Music is a way I’m able to communicate with other people. Without that outlet, I’d be able to function, but I would definitely be missing something big. The annual celebration was organized by the Harvard-Radcliffe Chinese Students Association, and included performances by the Asian-American Dance Troupe, the Harvard Breakers, and the Harvard Din and Tonics. Reylon A. Yount ’16 lives in Lowell House and is studying East Asian Studies and Environmental Science and Public Policy. Jessica A. Barzilay ’16, a Crimson news editor, lives in Dunster House and studies History and Science. Maille E. Radford ’17, Julius G. Bright Ross ’17, and Reylon A. Yount ’16 were in shock to find they had been chosen as recipients for Marshall Scholarships.